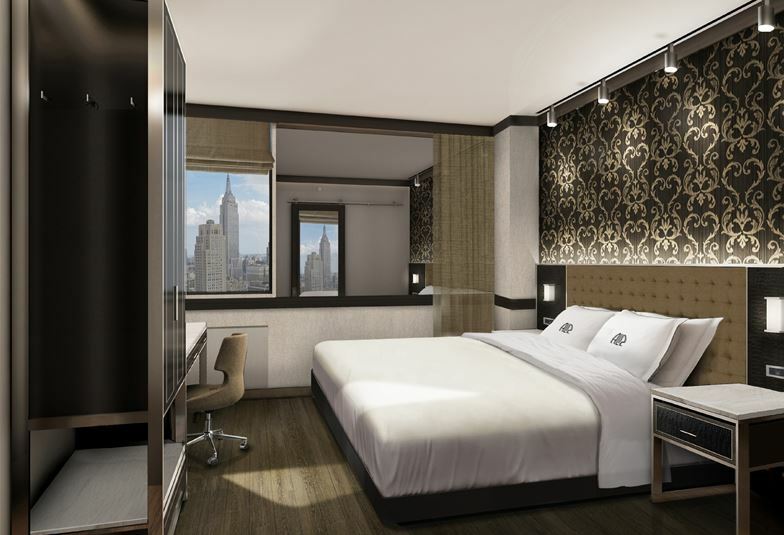 When this Times Square hotel opens in the Fall, it will be one of the tallest hotels in NYC! 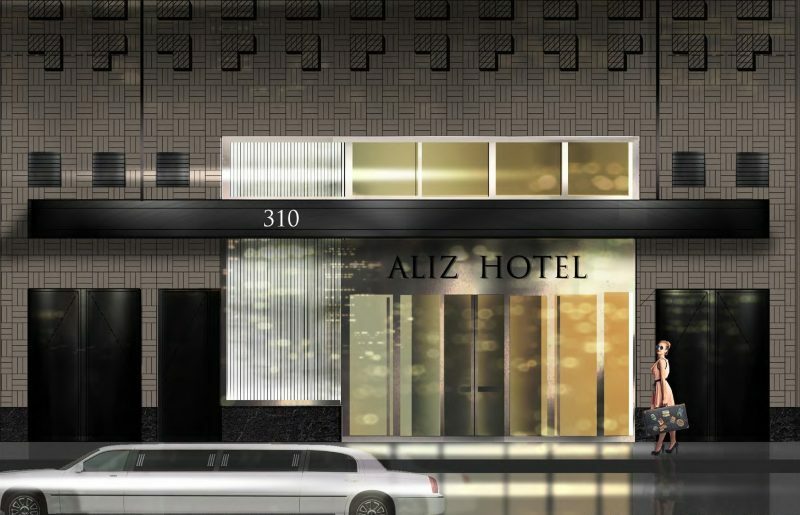 The Aliz Hotel is a new independent boutique brand that will debut its flagship property at 310 West 40th Street — arguably one of the most iconic intersections in the world. 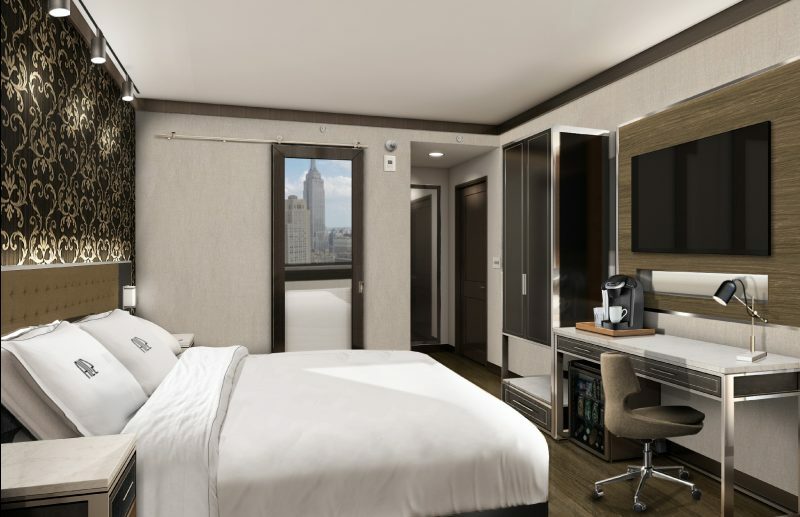 The Aliz Hotel will feature 287 guest rooms, a two-story rooftop bar and lounge, a stylish restaurant and lounge spaces, and luxury amenities – all within walking distance to Times Square, Hudson Yards and the Jacob Javits Center. Not only does it have location, it also has loftiness! Aliz will also boast the tallest rooftop bar in NYC. 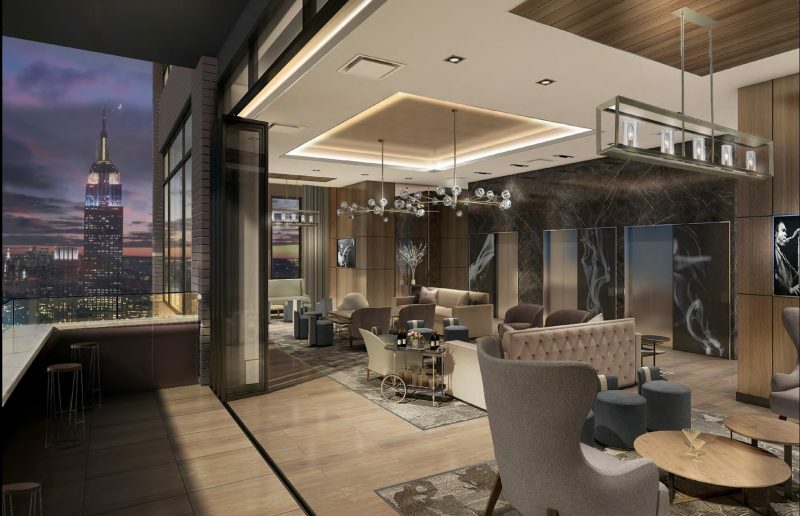 Imagine the instagram-able views of Manhattan from the two-story bar and lounge located on the 40thand 41st floors. 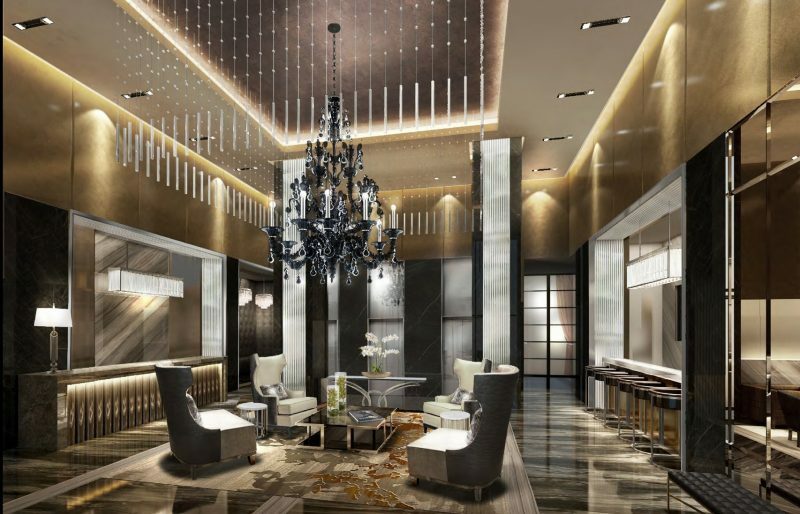 The same interior designers whose work can be seen at The Shore Club Miami, the H Resort Beau Vallon Beach in Seychelles, and The Ritz Carlton in Tianjin, China, mixed old world with a modern twist from street level to skyline. Guest rooms (kings and doubles) boast luxury bedding, hand-made soaps and amenities curated by Beekman1802, as well as high-tech AV room systems. 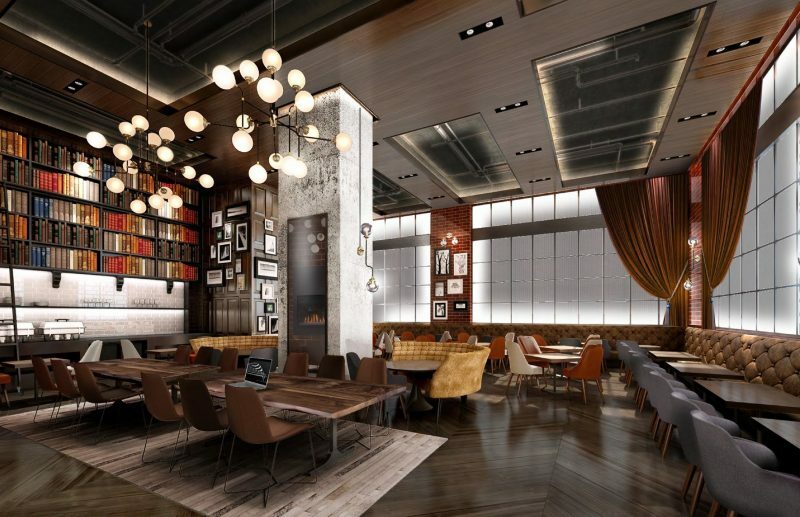 A NYC Green Property certified venue, the Aliz Hotel also offers a fitness center, business center, pet-friendly accommodations and 24-hour concierge services.